Japanese film director Takashi Miike, well-known for the over-the-top violence depicted in movies like Ichi the Killer, also has a softer side, which should shine through in his next project, a light comedy courtroom drama based on a Nintendo DS game. Are we getting a live-action Ace Attorney movie? The Ace Attorney (or Gyakuten Saiban) series is popular enough in Japan to warrant a manga tie-in, so why not a movie from one of Japan's masters of horror? During an interview at the 2011 Cannes film festival, the controversial director of Yatterman and the Crows Zero series spilled the beans on his next project, one that contains only a "little blood". That sure sounds like Ace Attorney to me. 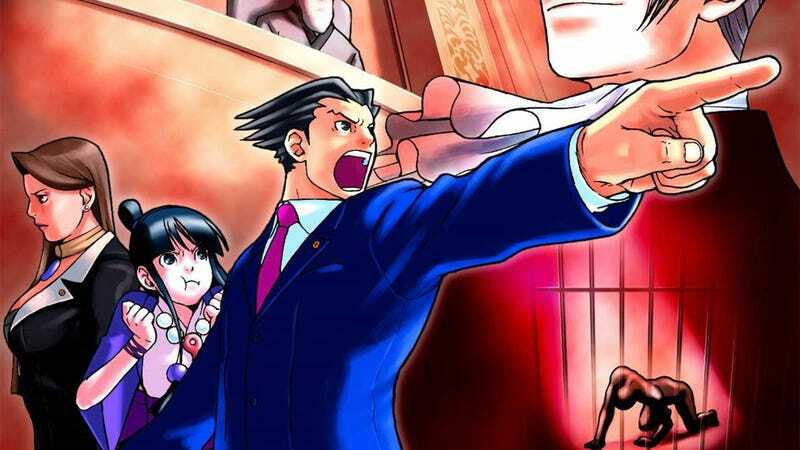 The Anime News Network points out the Namco's Yūzai x Muzai as another DS game set in the courtroom, but it has nowhere near the mainstream appeal of a Phoenix Wright or Miles Edgeworth title. We'll have to wait for official confirmation, but I have no objections to this particular video game and director pairing.